Get the celebrity look in no time with the Caramel 6 instant celebrity bun from Beauty Works. If you want to look like you belong on the red carpet then this hair accessory is definitely for you! This clip-in genius has thick plaited detail and will update any look to give you instant glamour without a trip the salon. The Beauty Works Caramel 6 Celebrity Bun is easy to applicate with three simple steps. Step 3 - secure using the internal combs and extra bobby grips for extra hold. 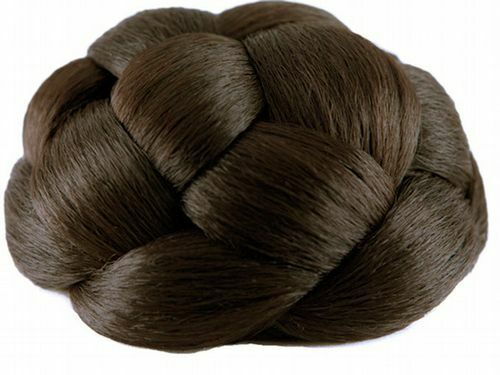 Made from high quality synthetic hair, the celebrity bun is made specifically to act and feel like natural hair. So what are you waiting for? We’ll race you to the checkout!